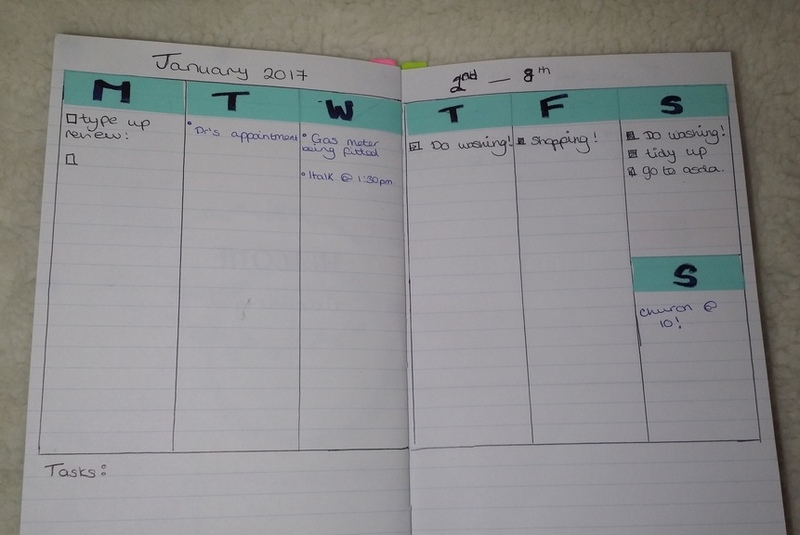 I love to bullet journal and my bullet journal is always by my side! I love that I can put everything I want and need all into one book! 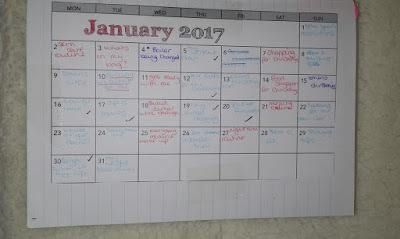 So here is a quick flip through of January 2017 in my bullet journal. 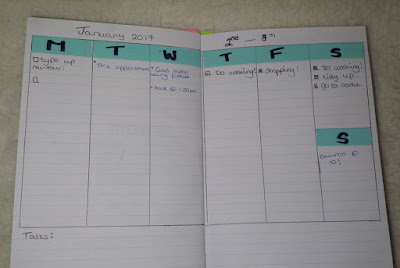 To start off with lets look at then note pad that I used the traditional bullet journal are Leuchtturm's but with those costing £155 each I decided to get a normal ruled pad. I brought this fro Tesco for £3 and it's size A5. 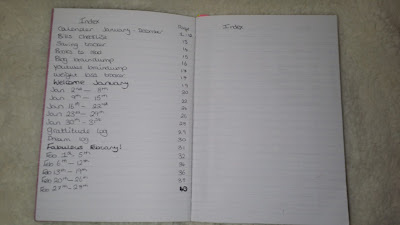 On the inside page I have my index. I have allowed a double page spread but I'm not 100% sure if this will be enough space. 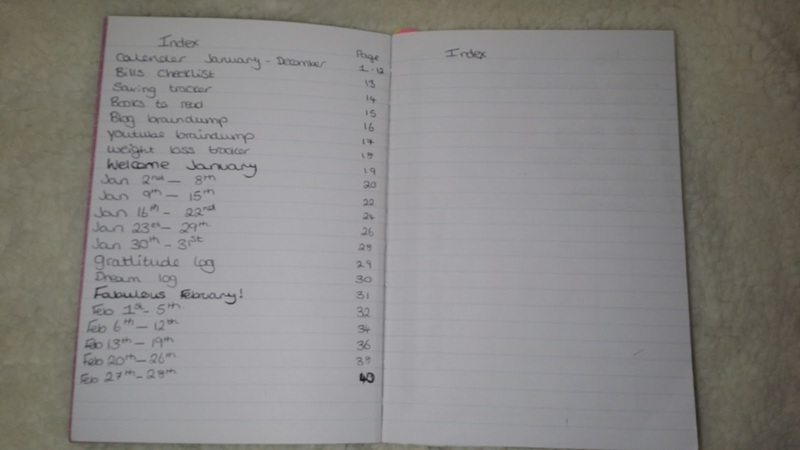 As I make my way through the journal , I will add the title of the page and the page number. The next page is my Key. 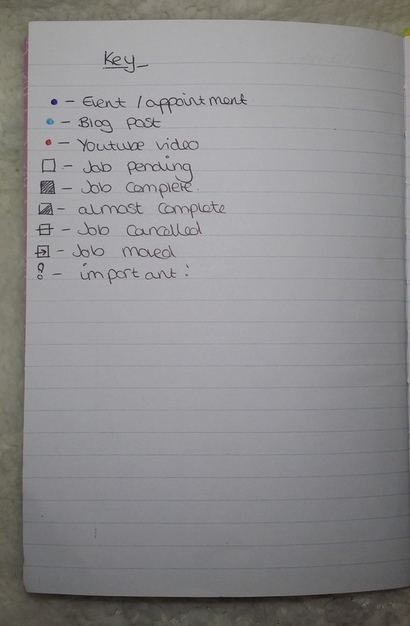 This key is tailored to what I need and want in my bullet journal but there are lots of different ways to do it. I use different colours to symbolize different activities. 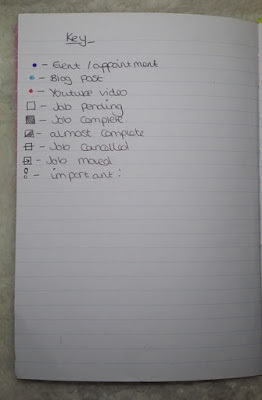 For example, you can see the I have pale blue for blog posts and i have red for YouTube videos. For the next 12 pages I have a calendar for each month. 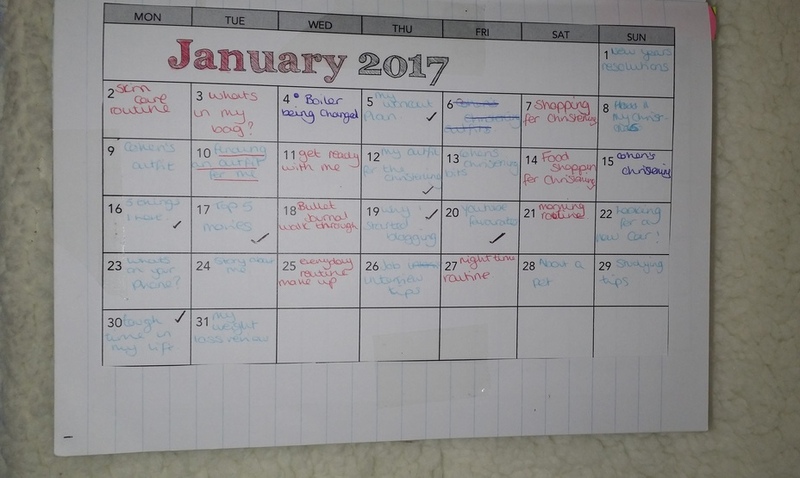 Seen as this is just based on January I have just taken a photo of my calendar for January. As you can see I have used all of my different colours through out to show different topics. I do have from January to December in here but I dont think I will be able to fit all 12 months into this book. After these I have my bills checklist. 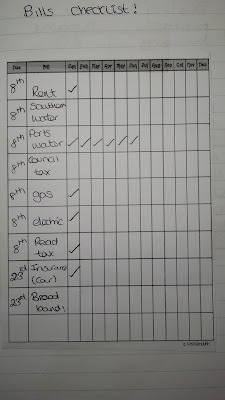 I am FOREVER forgetting if I have paid a bill or not so as soon as it is done, I tick it straight off on the checklist! This is my weekly view. Again I have only shown the one as I very much doubt you want to see all four. 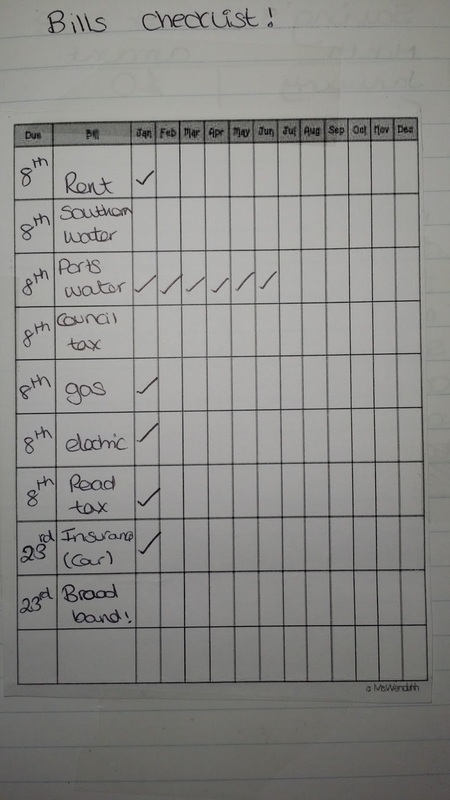 I again use the different coloured text to show different activities I have to do. I also throw in a little bit of washi tape to make it a little bit pretty! 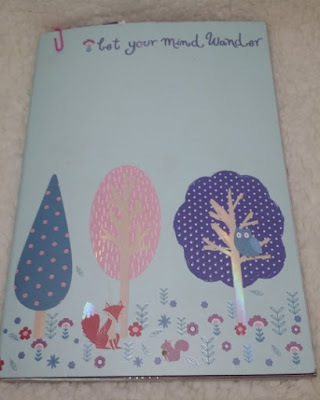 If a bullet journal is something you would like to start then Why not take a look at the free printables I have made! 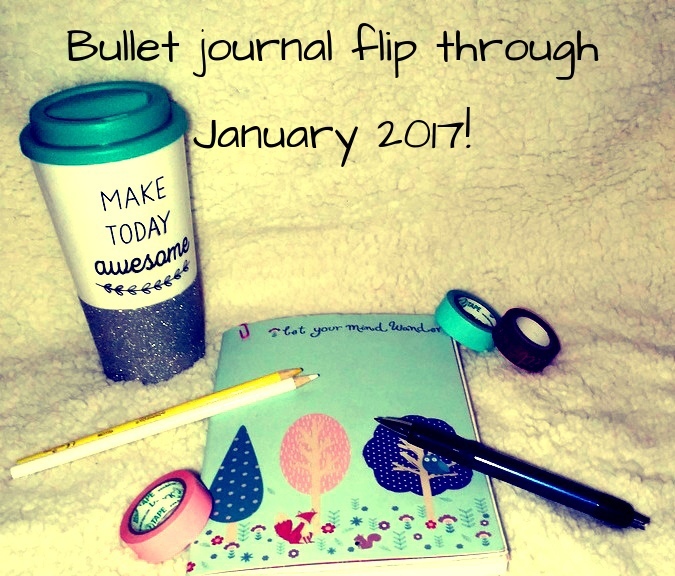 I like the idea of a bullet journal. People seem able to make them as creative looking as the content inside and yours is very nicely organized.